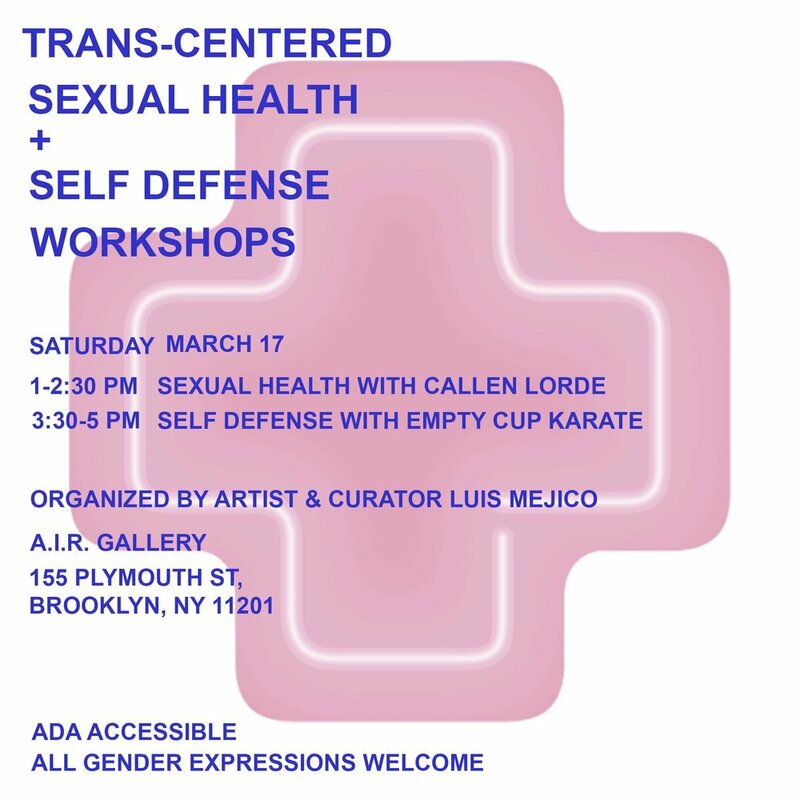 Trans-Centered Sexual Health + Self-Defense Workshop — A.I.R. This workshop on Trans Health will be organized at A.I.R. in collaboration with artist/curator Luis Mejico and the Callen-Lorde Community Health Center. The workshop will discuss foundational healthcare tools as well as advice on self-care followed by a Self Defense workshop with Empty Cup Karate at 3:30-5pm.